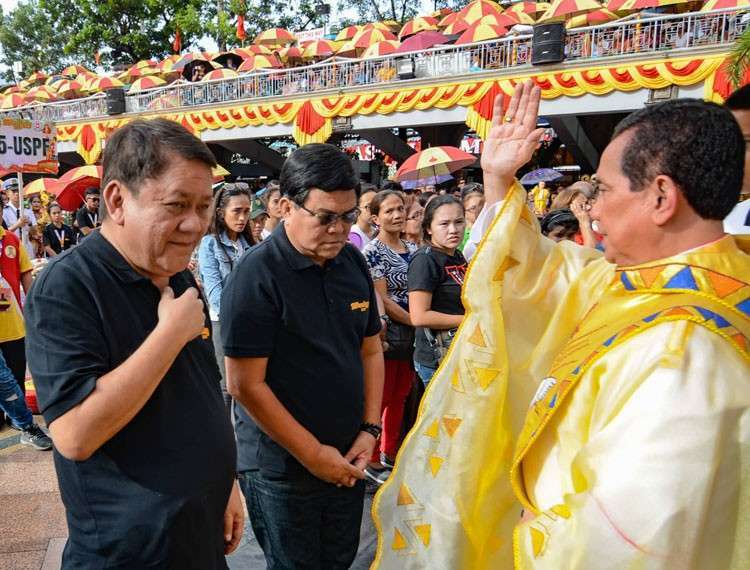 SAYING he does not want the celebration to be politicized, Cebu City Mayor Tomas Osmeña ordered the removal of tarpaulins of any candidate who will use the Sinulog to gain mileage. “I don't want to politicize the Sinulog, it’s for our own good. But I’m giving order that all these tarpaulins will be removed,” Osmeña told reporters Wednesday, January 10. The mayor said there are already those who sent feelers that they want to join the Sinulog. Osmeña said he did not even invite his own brother, former senator Sergio “Serge” Osmeña III, who is running for senator. “I’ll tell you frankly, I did not invite my own brother. He is running for senator, I did not even ask him to come because I think it’s not in good taste to take advantage, except the president because he is the president. There are some who are interested to come, of course, many are interested to come. It’s election time they want to get attention,” he said. President Rodrigo Duterte was invited to attend the Sinulog grand parade but will not be able to join the celebration due to other urgent commitments. Tumulak, who also serves as chairman of the executive committee of Sinulog Foundation Inc., said speeches should not be allowed so as not to hamper the flow of the grand parade. At present, Tumulak said there are four senatoriables who sent request that they may be allowed to join the Sinulog inside Cebu City Sports Center during the grand parade.